Gulval Church cross | Cornwall For Ever! In 2012, four amazing carvings were discovered on the remains of a granite cross in Gulval churchyard. The carvings are over 1000 years old and show the Four Evangelists, Matthew, Mark, Luke and John as half-human, half-animal. Known as the Four Evangelists, Matthew, Mark, Luke and John wrote the four main books or gospels of the New Testament in the Bible. Each evangelist also had an animal symbol related to the story of Jesus Christ. Matthew had angel wings representing Christ as a human. Mark had a lion, a symbol of kingly power and resurrection. Luke had a calf or bull, representing the sacrifice of Christ’s crucifixion. John had an eagle, symbolising the spirit of Christ soaring to heaven. The Gulval Cross shows the saints with animal heads and human bodies, and is very rare indeed. Cornish communities became Christian only a few hundred years after Jesus lived. Standing stones started to be carved with Christian symbols from this time. Celtic crosses were used to mark the way to a church or holy site. The rare images of animal saints on the Gulval Cross might have been copied from a beautiful illuminated manuscript called the Bodmin Gospels, which also shows the half-animal, half-human figures. 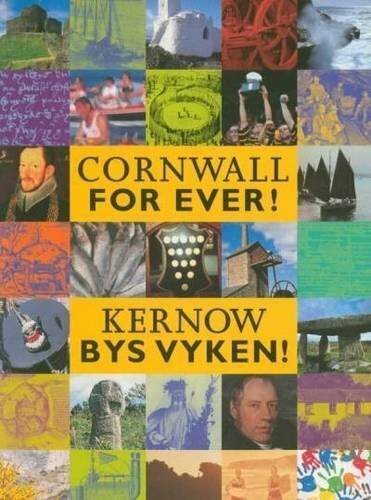 Until very recently people sailed to and from Cornwall on a regular basis. Cornish pilgrims, traders and migrants went abroad regularly and others came to Cornwall bringing their ideas and beliefs with them. The ancient Egyptian gods, such as Anubis and Thoth, have animal heads like the figures on the Gulval Cross. Some historians think that the contact between Cornwall and Egypt may have inspired this way of drawing the holy saints. Many of Cornwall’s standing stones and crosses can still be seen in the landscape. Several are decorated with pictures and patterns. Over hundreds of years these carvings – called rock art – have worn away and now can’t be seen with the naked eye. Archaeologists like Tom Goskar use 3D computer-aided techniques to reveal the hidden images to learn more about the pictures on them and why they might have been made. What other pictures do you think there are on Cornish crosses? How long might it have taken for someone from Cornwall to sail to Egypt? At the time that the Gulval Cross was made, Vikings traded with Cornish communities. In the year 838 the Cornish joined forces with the Vikings against the Saxons of Wessex. The Cornish name for Gulval is Lanistley. There was a large settlement of people here when the Domesday Book was written in 1086.